Ace Hood in Montreal or Quebec City? 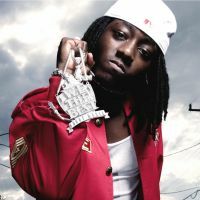 Inform me about the next events for Ace Hood. Enroll yourself to our priority waiting list for Ace Hood to be alerted when new tickets are available. Filling this form doesn't engage you to any purchase. Ace Hood will be visiting our area very soon and you still don’t have tickets? Look no further, 514-Tickets has what you want. 514-Tickets is a ticket broker for all sorts of tickets you may need. From hilarious comedy shows to popular rock concerts, our vast inventory allows us to simplify your task of finding the right tickets you are looking for in the exact place you would like to be in the Bell Centre, St-Denis Theatre or Étoile Banque Nationale. We certainly have something for everyone. All of our clients are covered by our 100% Satisfaction Guarantee. We send all of your purchases by priority post making reception quick, simple and safe. If you have questions or need information, do not hesitate to contact us at 514-BIL-LETS ( 514-245-5387) and one of our operators will be happy to assist you and answer all of your questions.